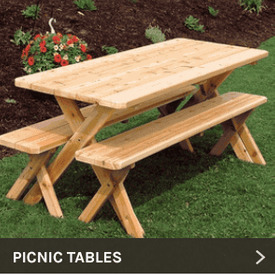 Whether you like to enjoy informal family picnics in your backyard or are looking to add a touch of natural elegance to your al fresco meals, the big collection of Western red cedar wood outdoor dining sets available at Cedarwood Furniture provides you plenty of wonderful options. 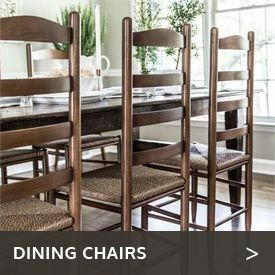 Although you can choose from a host of styles, sizes and finishes with these dining sets, one thing remains constant. Cedar’s natural oils will protect these pieces from insects and weather, ensuring you will enjoy meals at whichever set you choose for a long time. From an intimate dinner for two to a big backyard barbecue bash for friends, family and neighbors, we’ve got you covered for every type of outdoor dining activity. 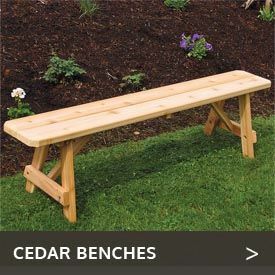 You will find all kinds of sizes of cedar dining sets here, allowing you to fit just about any space, from a small apartment balcony to a gigantic green yard that seems to go on forever. Our sturdy cedar tables are available in round, rectangular or square shapes. Seating choices include backless and backed benches as well as cedar dining chairs with or without arms. Go ahead: Dig in! You’re bound to find just the right cedar dining set to suit your taste.